Promoting your listing is a great way to provide added visibility and boost the opportunity for your listing to be sold. Your promoted listing will be eligible for viewing on the Front Page as well as its Category and search results pages it is ordinarily displayed in. Select the listing to promote and the number of impressions you'd like to promote. Promoted listings are selected randomly from those eligible on the Front Page, current Category or Search Results. An impression is tallied each time your listing is selected to appear in a "Promoted Listing" section of the site. Our custom algorithm optimizes the rate at which your listing appears in the "Promoted Listing" section. You are only billed for the impressions you receive! Each promoted listing's progress is viewable form your Posted Listings page. Start or stop your promotion at anytime! You will receive a monthly invoice for all promoted charges. After posting a new listing or editing an existing listing. From an active listing's "Manage Listing" menu. From your Posted Listings page. Finalize payment and begin promotion. If you would like to proceed with Promoting your listing click on the "Promote" button. Verify your promotion details and select the number of impressions for your listing. 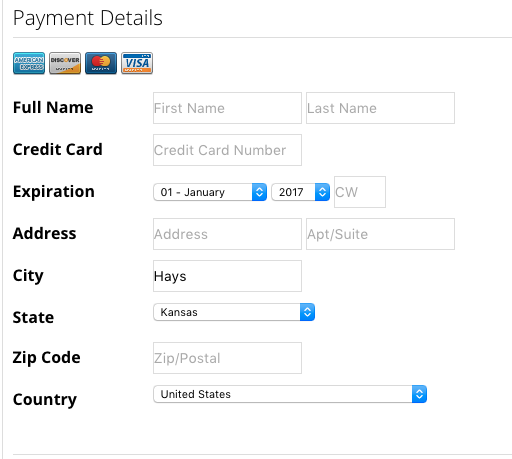 If you have not provided payment information previously, you will need to include your Credit Card payment info. Finalize your listing promotion by clicking "Finish". Your total number of purchased impressions have been received. Manually, from your Posted Listings page. Please Note: Your credit card will only be charged for the total number of impressions received when one of the above methods has occurred.